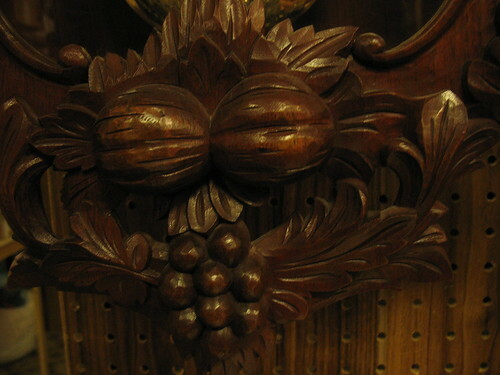 Here's an interesting piece. 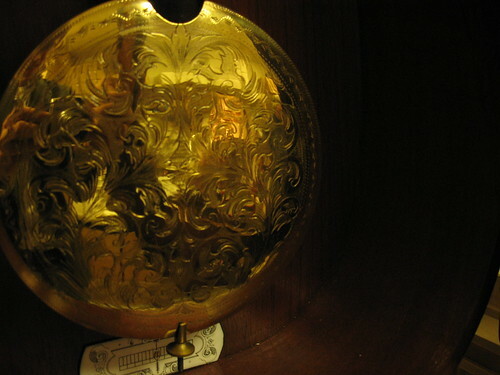 It's another Vienna Regulator with a very lovely carved case. 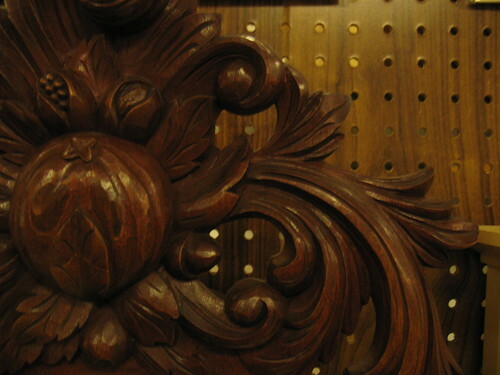 The case is carved is a rare hardwood, possibly mahogany. The weight doesn't match. 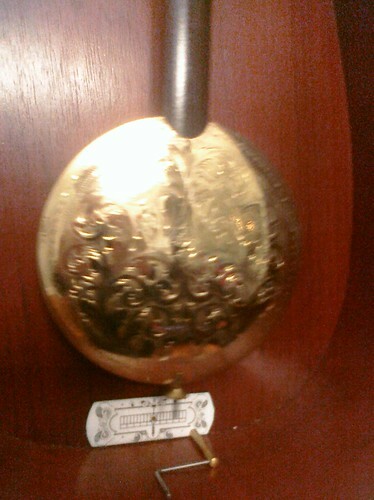 It's got a Jugendstil-style weight and the pattern doesn't quite match the bob and case. I've been reading about diy chemical etching and will one day try to make a weight shell that matches. 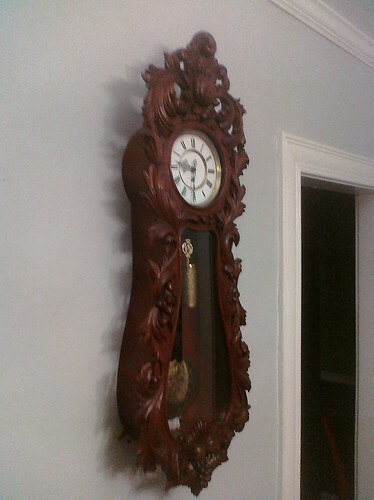 If you like this clock, be sure to check out our Amerling regulator with it's fine "Bird's-Eye" Maple case. 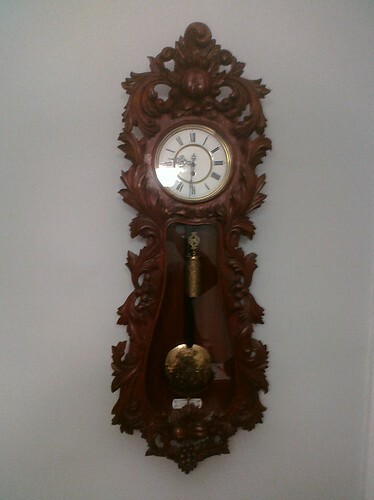 "Vienna" Regulators have often been the standard for fine mechanical wall clocks. 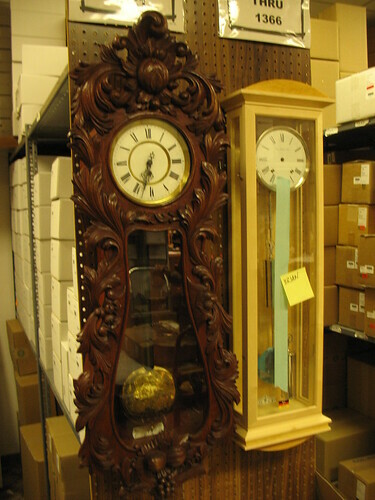 Their elegant proportions, and high-quality mechanisms create what is for many the epitome of accurate and stylish mechanical wall clocks.